Me and Mrs. Vicious are going to Italy in a few weeks. Thanks to Street View I have tracked down my first place of pilgrimage. I have just informed them that I am an important blogger. If they fall for it you’ll hear all about it soon enough! This entry was posted in Cycling and tagged Ernesto Colnago. Bookmark the permalink. 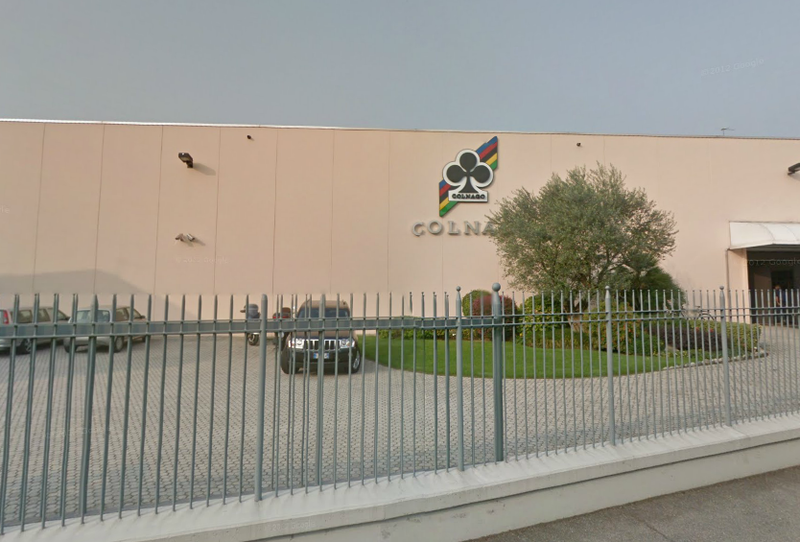 Dear Mr Colnago. I bought a Colnago because Gezza said I should. He is indeed really really important. Please let him into your prototype area. Also he is handy on a bike, over Roquette the other day he pulled away from me to claim the KOM after I towed him up the hill…er mountain. So he would give you good feedback if you were to give him a bike to ride. Oh he loves Titanium. Can you bring some of them back into your range? I hope this character reference helps mate! Thanks, Steve. Every little bit helps! We were going to but I was called back for work. Just Venice for a few days. That is not an acceptable answer – go to Worlds! For all of us who cannot. I know, I know. I loathe myself. I look forward to seeing pictures of you paddling your own canoe. I know exactly where we’ll be able to find you upon your return from there. Me, too. The Poor House. Hey, you must be ready for an upgrade yourself. I need some company.